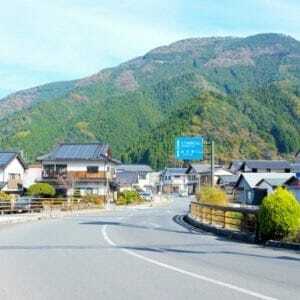 Takayama,sometimes called Hida-Takayama, is located in the mountains of the Hida region in Gifu Prefecture. 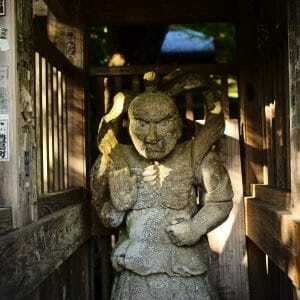 Takayama ranks highly for travelers looking to add rural tourism to their list. 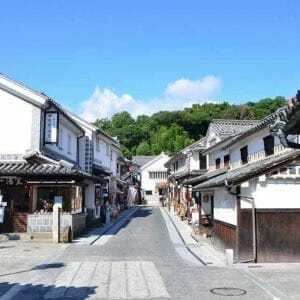 Famous for its skilled builders and relative isolation in the mountains, Takayama has distinct attractions that can not be found anywhere else in Japan. 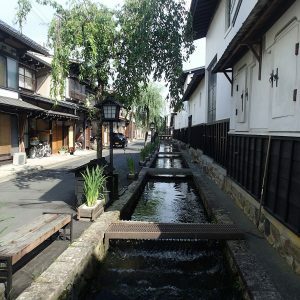 I recently discovered that Takayama is a perfect destination for a quick trip from Tokyo. Not only is the ride beautiful, but escaping into the mountain air is quite refreshing. Arriving at Takayama station you will find a helpful tourist center right outside the train station with friendly staff, materials and guidance available in multiple languages. At the adjoining bus station you can hitch a ride to most of your destinations, whether it be a local Ryokan, Ski resort or one of the many attractions in the area. There are several souvenir shops right across the street from the stations so feel free to wait until the last minute to buy your gifts. A short walk (about 10-15 minutes) or a quick bus ride will take you directly into the castle city's iconic old streets known as San-machi. This historic area was the merchant center of Takayama hundreds of years ago the buildings have been preserved remarkably. Today many tourists walk along the famous street to find restaurants, shopping locations and temples. Though I visited during the day time, I hear that it is quite calming at night with lanterns lining the streets and illuminating your walk. Don't forget to try some of the famous street food including hida-gyu (Gifu prefecture high quality beef) and Mitarashi dango (dango covered with a sweet soy sauce glaze and a distinct burnt fragrance). There are also numerous museums and traditional Japanese shops in the area, easily found by street signs or walking maps handed out in multiple locations along the street. Outside the city you move from historical significance to natural beauty. If you are headed skiing or snowboarding, you will find at least seven ski resorts within twenty minutes ranging from family friendly to extreme sport. There are several local sake breweries in the area running tasting tours from January to March. Accommodation options are numerous including anything from western style to private Ryokans in the mountains to lodge houses for families and tourist groups. I stayed at a place called Shakunage which was the latter of the three. Inside were cozy private rooms in Japanese style with futons and kotatsu to keep you warm. The staff was equally warm and guided me around the premises showing me everything I would need during my stay. 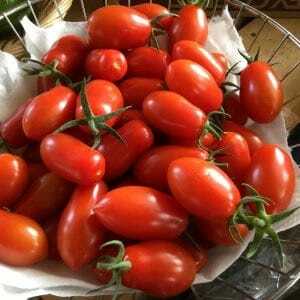 Home made meals were memorable and delicious, including fresh, local ingredients and recipes. As I travel alone I was pleased to find the meals were served in an open room. I quickly made friends with the Japanese families around me, who journeyed from as far as Hokkaido and Kyushu. To cap off the night, some of the adults enjoyed a few beers and friendly conversation in the main room followed by a relaxing trip to the bathhouse before turning in. The next day after breakfast we traveled to one of the largest ice caves in Japan known as Hida Daishonyudo Cave. Enheartened by the previous night's bonding, our group ventured into the cave. 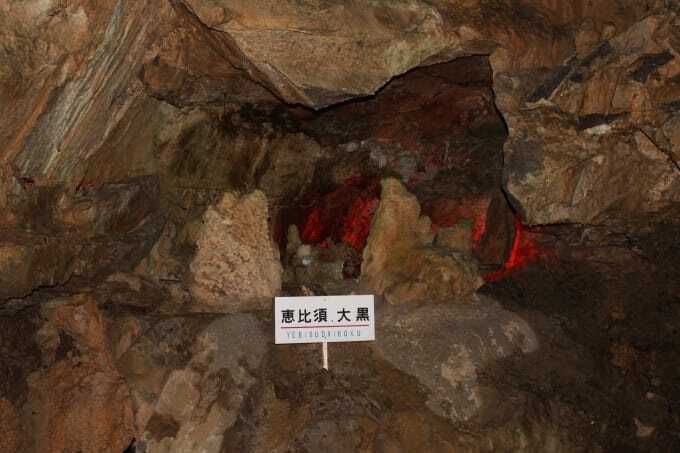 A walking trail inside the cave leads you past giant stalactites, expansive underground caverns, an underground waterfall and even a sake brewery. During winter there is an extraordinary experience waiting for you when you exit the cave. As you emerge you discover a valley filled with amazing views of frozen blue formations of ice over 30 meters high and hundreds of meters long. Apart from the cave and ice formations there is a free arts and crafts museum with many beautiful pieces. There is also free parking and a few places to eat so the area is a frequent tourist stop. During the winter you may be able to enjoy some additional activities with the family. As we exited the museum our group had some warm drinks and found several sleds waiting for us near a hill. The kids immediately started sledding and crashing down the slopes as the rest of us walked over to an open area with a few rather mysterious ice blocks and several shovels lying around. We were soon shepherded into creating the blocks ourselves and once we had enough we stacked the blocks into a large igloo. With a sense of grand accomplishment having built a house together we took a few photos and cheerfully moved on to the next stop for lunch. We stopped at a place called Yada-Nabe which doubles as a local craft center. Here we had a traditional mochitsuki experience where we all gathered around a large wooden bowl and took turns pounding rice into mochi with a heavy wooden hammer. With our task complete we went inside, had some nabe to warm us up and ate the freshly create mochi with kinako powder as a sweet dessert. 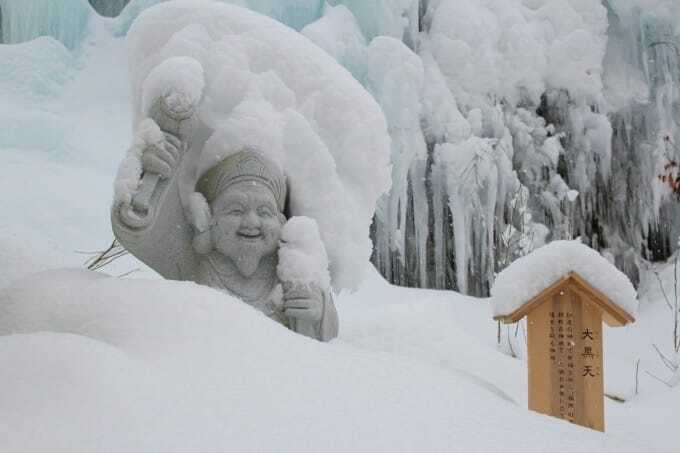 In addition to eating mochi, locals in wintry regions like Takayama use mochi as a decoration. This is due to the lack of color and flowers during the winter months. Our guides showed us how to make hanamochi which involves dying mochi into bright colors and wrapping it around branches and twigs and letting it dry. The branches are tied together to make a colorful decoration resembling a flowering tree. This capped my experience and gave me a nice souvenir to go along with the memories of exploring Takayama. 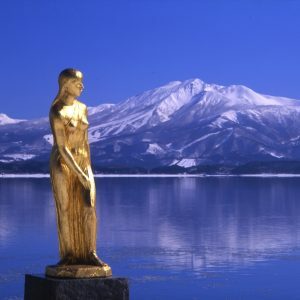 Major attractions around Takayama: Mount Norikura A dormant volcano nearly 10,000 feet (3026 meters) tall located to the east of Takayama. Buses available from Takayama station to take visitors to the summit. 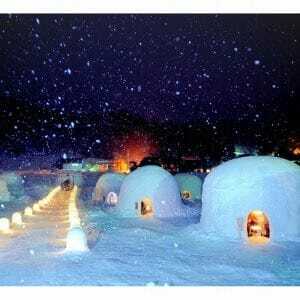 Shin-Hotaka Ropeway and Okuhida Spa Resort The ropeway is over 3,200 meters stretching across the Northern Alps. 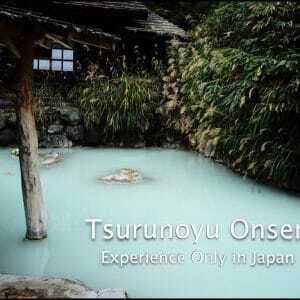 Okuhida spa is famous for its outdoor baths offering views over the alps. Includes both segregated and mixed bathing. Hida Minzoku Mura Folk Village An open air museum of approximately 30 traditional farm houses with the distinct architectural style of the Hida region. 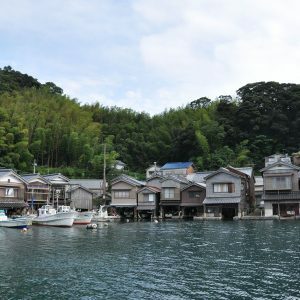 Known as "the village hidden in the leaf", the village sits on a hillside over Takayama valley surrounding a large pond. Takayama Festivals Takayams hosts one of the three biggest Shinto festivals in Japan. Festivals are divided into two Spring and Autumn events famous for large, ornate floats that start moving around after dusk and are covered with hundreds of lanterns and puppets. Takayama Jinya A historical government building that has been restored and now functions as a public museum. Located near the main shopping district of San-machi.